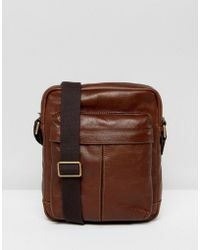 Fossil is a brand that is built around vintage and styles from eras gone provide the basis for many of the brand's pieces. 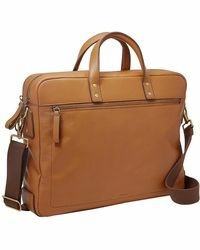 However, the in house designers also take inspiration from emerging fashion themes, innovative new fabrics and lifestyle trends in order to produce lines that have that elusive combination of careful craftsmanship and covetable design. 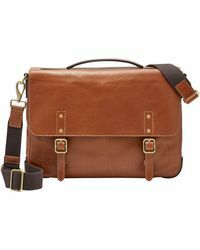 The range of messenger bags from the brand is diverse, both in terms of the fabrics used in the construction of the bags and the different design details. 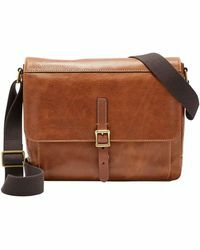 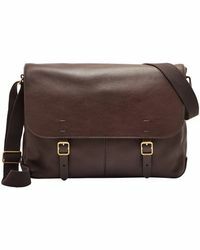 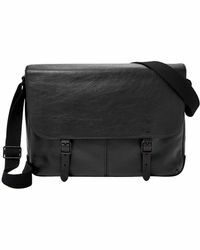 Choose from suede messenger bags with leather buckles, check designs and leather trimmed fabric styles. 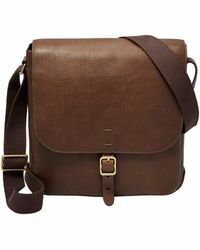 There are also messenger bags drawn from the vintage archives and smaller, narrower urban styles. 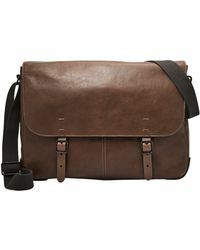 Showing 53 results for "Men's Fossil Messenger"